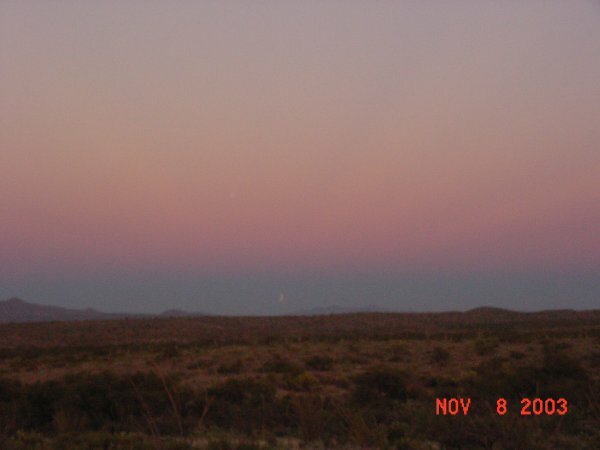 All images taken 8 Nov 03 near sunset. Photo details: Sony Mavica MVC FD-90 digital camera set at autoexposure. 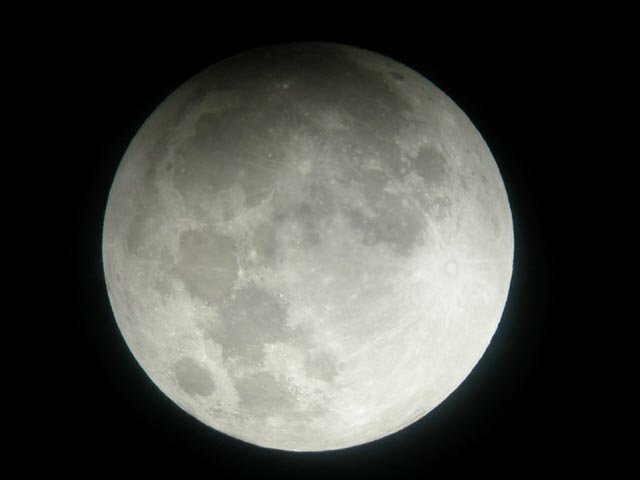 I made these high resolution picture with a Meade LX10 8' telescope and a digital web camera. When you look at this picture, you are looking at a large mozaiek picture of about 200 seperate .bmp files! Unseasonably cold [9°] but well worth it.. cloudless skies for a change, too. Nikon Coolpix 4300; 90mm ETX; 32mm ep [39x]. What a beautiful evening this has been. It was great to share this event with friends and neighbours; it was cold at -7C, but the air was calm and the skies were perfectly clear. It was really cool to see the Milky Way and the reddish diminished full moon at the same time! 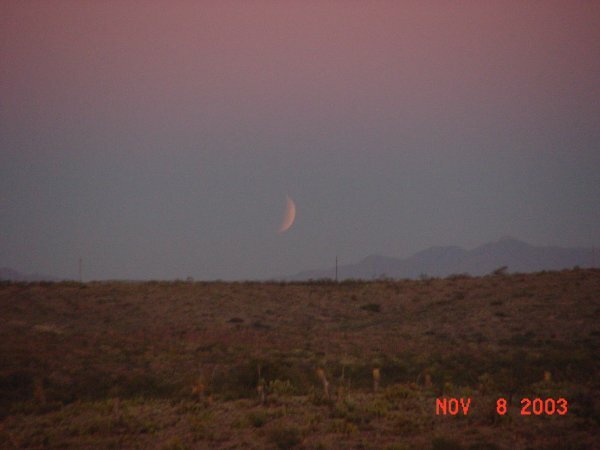 These images were taken with a Coolpix 995 digital camera and a TeleVue TV-101 refractor. 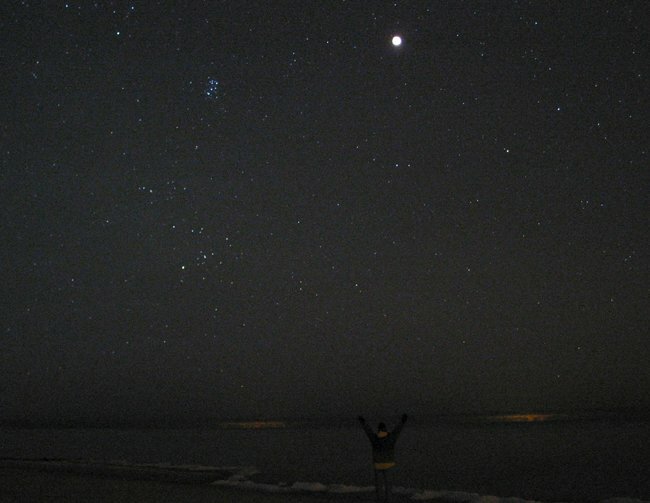 Self-portrait at totality on Lake Michigan in Two Rivers, WI., and close-up at 18:31. 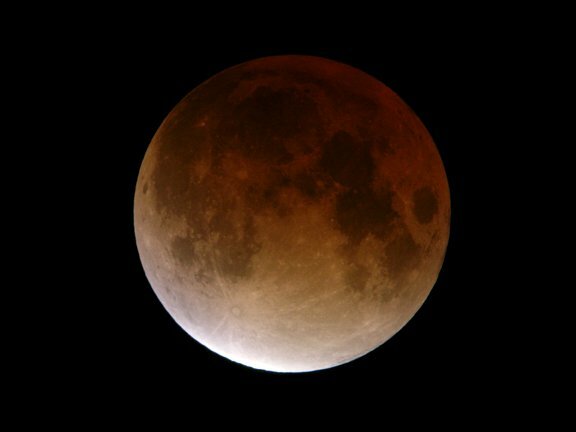 The 19-degree temp was worth seeing the stars appear as the eclipse progressed! 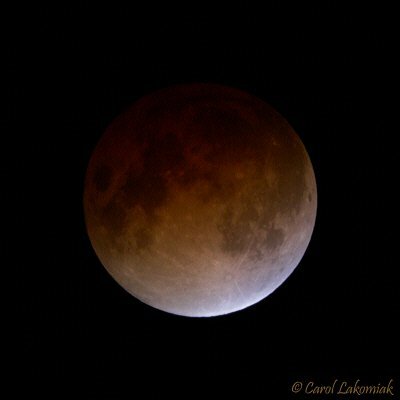 It was a beautifully clear night. Taken with a Nikon Coopix 4500 Digital camera (controlled by computer using the force and Hocus- focus programs) with Williams 28mm eyepice adaptor through a Celestar 8. 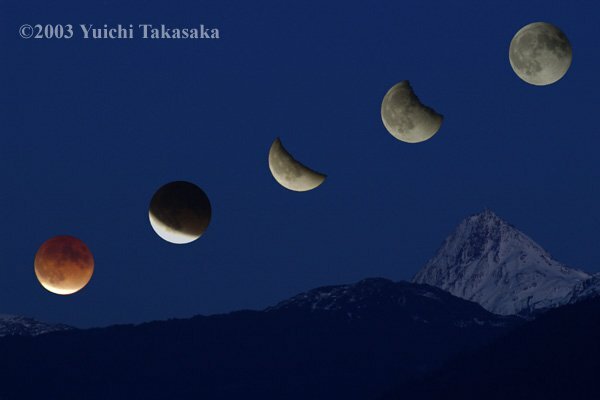 Totality was already finished by the time the moon came up above mountains. 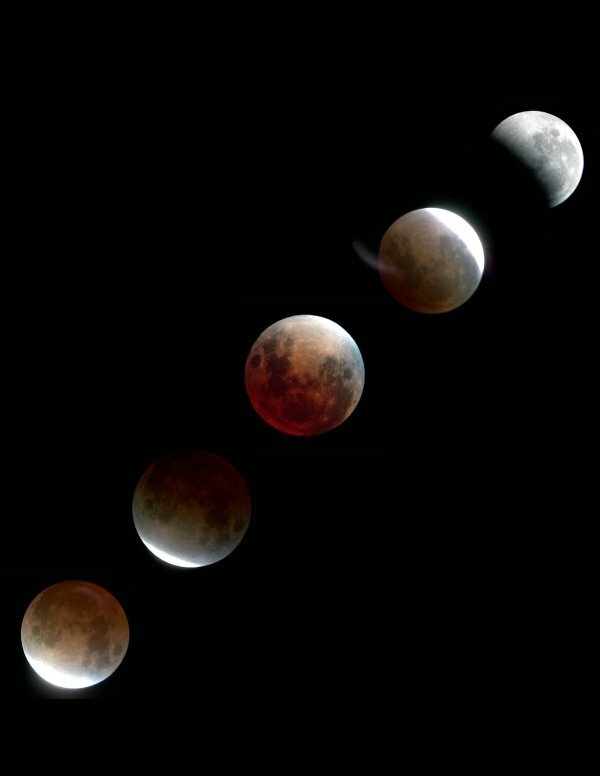 First image was recorded at 17:42, then 18:01, 18:26, 18:50, and 19:16 for Full Moon. I put them together with Photoshop. Pentax *istD digital camera with 300mm lens. 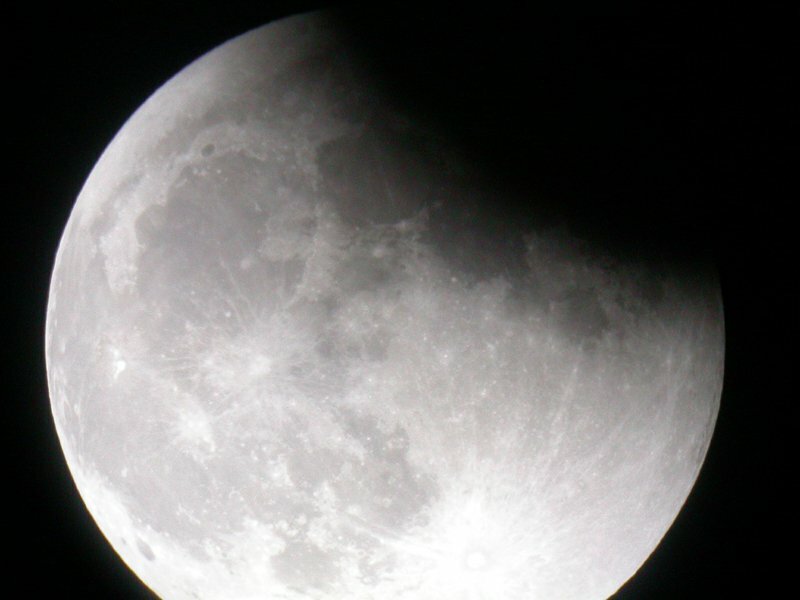 The images were taken with a C8, and a Nikon 5400 digital camera. I have never seen so many colors in an eclipse before. Clouds the whole day, but they left three hours before the eclipse began. 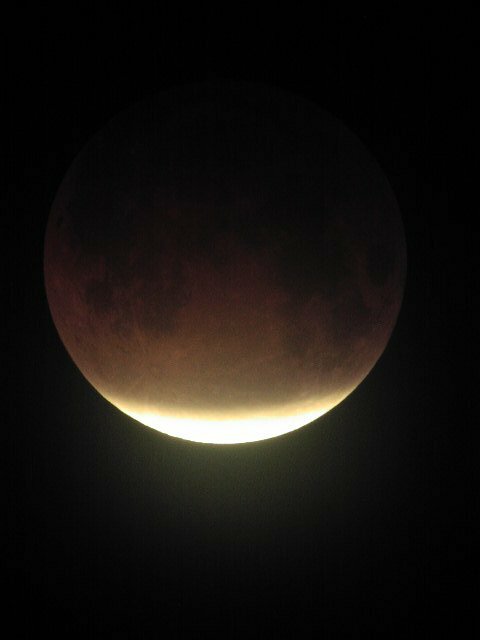 Splendid night, lots of visitors at the Observatory, and a brilliant and colourful eclipse. While taking pictures of the eclipsed moon, I momentarily turned my camera north to the Pleiades. 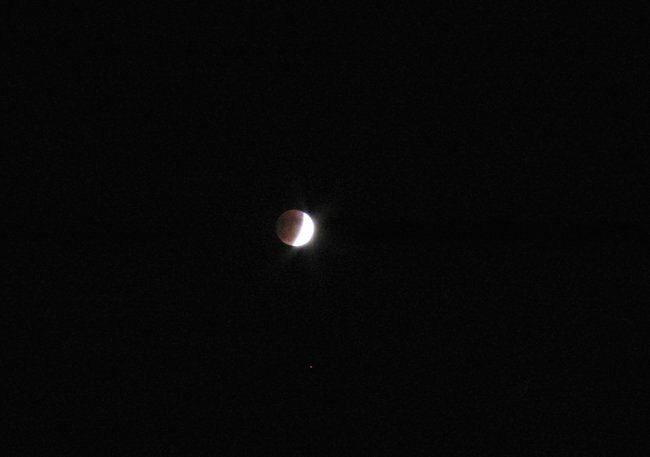 The over exposed partially eclipsed moon is visible on the right. The star to the upper left corner is SAO 75871 a red K2II-III Star. 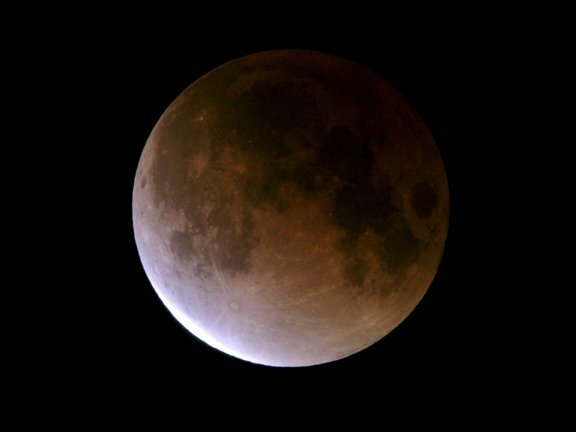 Its Spectral color is clearly visible. 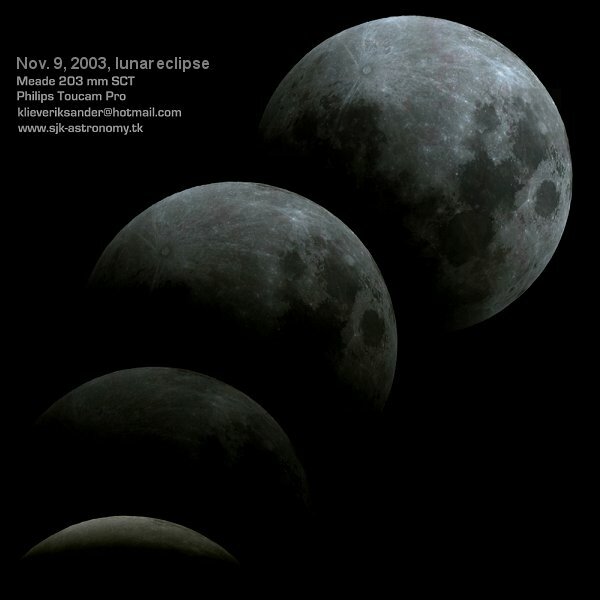 The photo was taken with an Olympus C-4040 digital camera, 4s exposure. 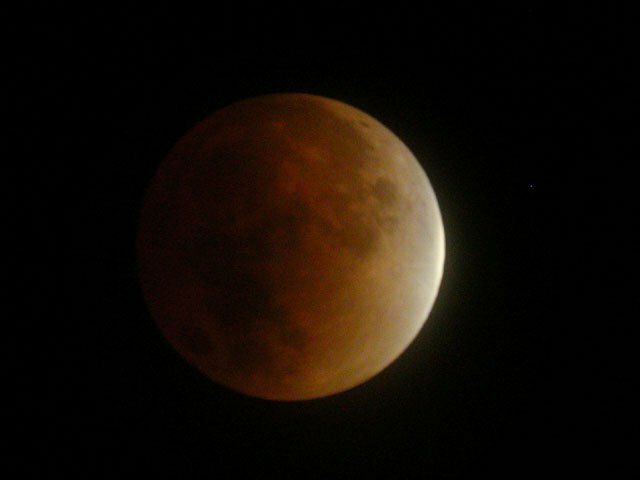 This photo was taken with an Olympus C-730 Ultra Zoom set at iso 400, handheld to the 26mm plossil eyepiece put on the StarMaster 10" F/6 dobsonian telescope. 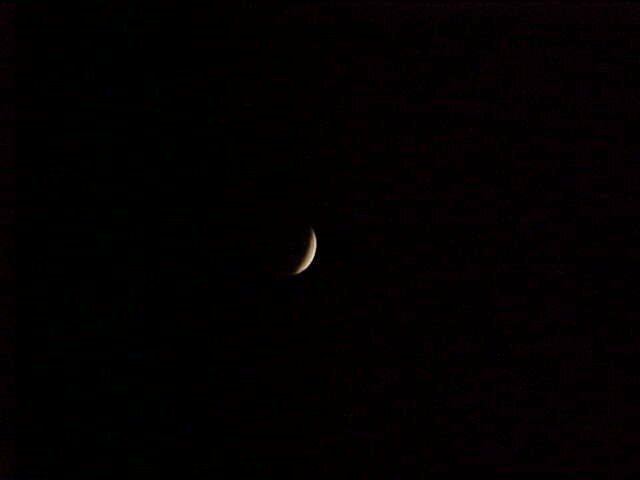 The atmosphere was not very steady, and the exposures were a little too long for handholding the camera, so the lunar detail is not the best. 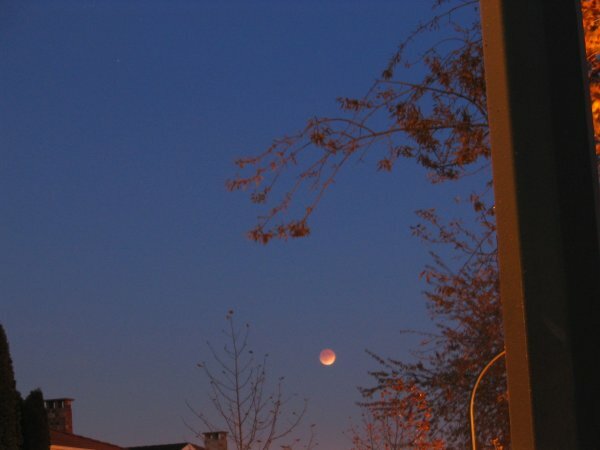 This was my first time trying a lunar eclipse, so it was definitely a learning experience.